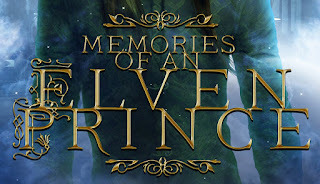 Here's an update on the book I'm currently writing in my new Elven Realms Series: Memories of an Elven Prince, a sequel series to my Elven King series. Right now I'm in the last editing phase, but as I also just completed the first draft of Book 2, I've decided that the two books would work/flow better as a single book with a few tweaks even though it would end up as a tome of around 450-500 pages. This will of course push back my release date from the 1st week of December to January 12, 2018 due to many retailers unable to accept new publications until the new year. However, for this massive epic romance, I think telling this arc of the story combined would serve the story best and avoid ending in a cliffhanger between books 1 and 2.